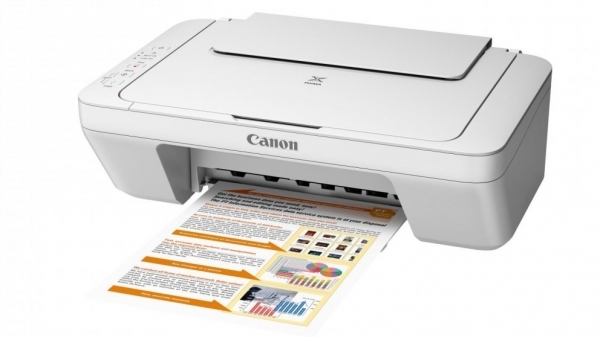 The Canon PIXMA MG2560 All In One Inkjet Printer is your everyday solution to efficient printing, copying and scanning with fantastic speed, with qualiy photos and documents produced by microscopic ink dots and high resolution, longer lasting prints with ChromaLife100+, a lightweight build and auto-power ON function for energy saving. 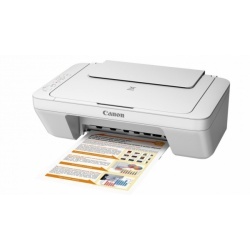 With a dpi resolution of 4800 x 600 and 2 picolitre FINE print-head technology, easily print exceptional photos and documents with tray storage for up to 100 paper sheets. Seamlessly recreate copies as they are seen originally with Dual Colour Gamut Processing Technology and a multiple copy function. You can also copy singlehandedly without using a computer. Quickly replace ink cartridges with easy access thanks to Fast Front, keep printing on the hush with Quiet Mode and save energy with Auto power on and off function.